“YOU should have been the murdered schoolteacher, you should have made the news.” These were the chilling words spoken to Abigail Chapman last week Thursday by a man she had been dating for less than a year. 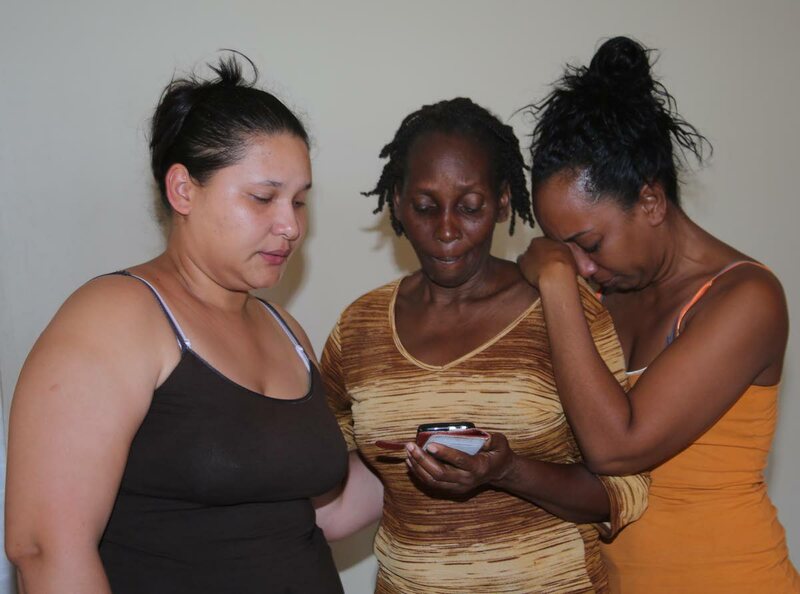 Abigail, her daughter Olivia, the daughter’s schoolmate Michaela Mason and Abigail’s landlord, retired teacher Michael Scott indeed made the news, as they were found Tuesday night murdered at Scott’s property in La Brea. Yesterday, Abigail’s mother Cristine Jones said her daughter confided in her saying that the man was abusive and controlling and that she was trying to end the relationship. The four were discovered dead by police at Scott’s Kanhai Settlement, Sobo Village home on Tuesday after Scott’s friends reported that they could not find him. Police said they were unsure exactly when the four were killed. Newsday understands a time line provided by the district medical officer suggested they had been killed about 12 hours before they were found. Scott, Chapman and Olivia were all in the living room, while Michaela, who had been staying for a sleepover, was in the kitchen. Police found Chapman’s two younger children, Kasey, 12, and Amy, eight, unharmed in the upper storey of the house, dressed in their school uniforms. Their father took them away on Tuesday night. Chapman and her children had been Scott’s tenants for the past two years. On February 26, schoolteacher Margaret Ragoobar Guevarra, 42, was murdered by a male relative at her Coalmine, Sangre Grande home. The killer then turned the gun on himself but did not succeed in ending his own life. He remains warded at hospital. “Olivia ran up to him and told him he was a little boy and not a man for leaving his mother’s house to beat up her mother, I feel that is why he killed her as well, because she opposed him,” Cristine said. Scott, who lived on the top floor of the three-storey house, also intervened last week Thursday. “Abby told me is only when Mr Scott came downstairs and told him to stop his ‘rough play’ that the man left her alone.” Since then, Scott had allowed Chapman and her three children to stay on the top floor with him. “He tried to keep them safe, I am so very sorry that this man lost his life trying to save my daughter,” Christine said. I know she went to the La Brea police to make a report. No one in our family condones that kind of behaviour and we were not going to allow him to treat her like that.” She lamented that had police acted sooner, four lives could have been spared. Jones said she hopes the police catch the man so her daughter can get some kind of justice. Michaela, Jones said, was accustomed to spending nights with Olivia. “He killed that child because she would have known his face, she was just sleeping over.” Newsday visited Michaela’s home in Sobo Village but her relatives were not at home. Reply to "‘You should have been the murdered schoolteacher’"